Z Loft Hotel, Bar, & Grill- Saint Robert, MO. Gasser Tourist Court was a mid-century landmark in Phelps County on Route 66. The combination of a modern motel complex and delicious barbecue and chicken was irresistible to Mother Road travelers. Today, 15 miles west, Z Loft Hotel, Bar, & Grill in Saint Robert is a hip, colorful, sophisticated update that rekindles the spirit of Fred & Vernelle Gasser’s model. Just off Route 66, tucked into an Ozarks “holler”, Z Loft first opened its doors to the public in 2013. The Farris family envisioned an “eat, play, stay” concept between Saint Louis and Springfield, Missouri- and they succeeded. The family combined their culinary roots with their hotelier skills and Z Loft was born. Z Loft Bar & Grill promises “innovative twists on classic, flavorful cuisine” and “expertly crafted cocktails served in just the right glass”. The menu presents an elevated take on typical pub offerings. For starters, take into consideration Santa Fe Egg Rolls, Pork Pot Stickers, and Hummus that is served with fresh vegetables and Focaccia Bread. The menu lists six salad options- including the colorful Shrimp Goat Cheese Salad. This salad is a feast for the eyes and a treat to the taste buds- grilled shrimp served with fresh mixed greens, tomatoes, red onions, strawberries, goat cheese, and bread drizzled with house dressing. Entrees range in price between $9 to $28 and each choice is packed with flavor. Quesadillas can be ordered gluten free/meat free or with traditional grilled chicken or beef. The Philly Steak Sandwich has been described as “money”, and that description is spot on. One of the most popular, and unique, items is the Infamous Bourbon Burger. This hand crafted, hand-pattied creation is glazed in a special mixture of sauces including bourbon & brown sugar. The menu attests that the Kansas City Strip Steak is cooked to perfection- and diners agree! Even beef lovers will enjoy Z Loft’s chicken, pork, and fresh fish entrees. Chef Mitchie shows off her talent and skill daily with a variety of special creations. You may decide to linger after your meal- consider moving the after dinner drinks and conversation to the outside patio. This area is welcoming year round and the comfy seating near the fire pit invites conversation and laughter. Whether you need a dining spot during your Route 66 trip through Missouri, or are looking for a special place for the road to lead you to, make sure to add Z Loft Bar & Grill to your itinerary. To learn more about Z Loft Hotel, Bar, & Grill please visit www.ZBarandGrill.com. 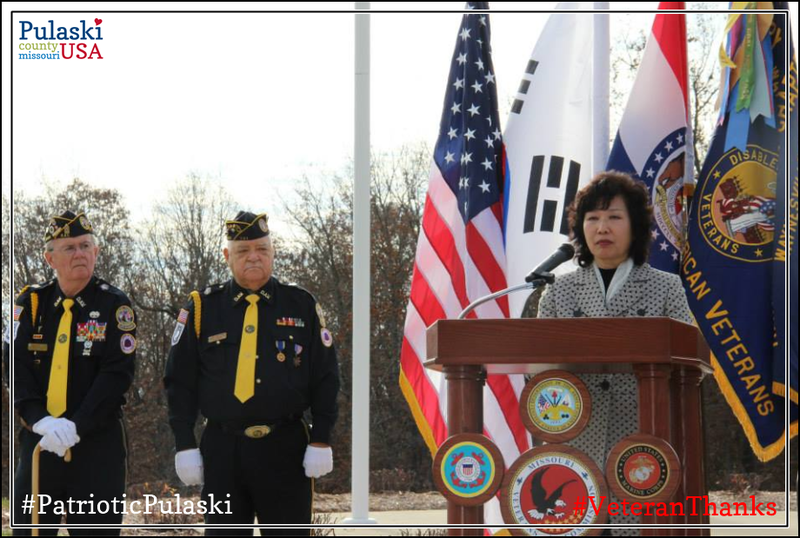 For a complete listing of dining and lodging options in Pulaski County, Missouri please visit www.PulaskiCountyUSA.com. What: Old Bethlehem comes to life with over 100 different characters and live animals. When: Friday & Saturday curtain at 7:30 p.m., Sunday curtain at 2:30 p.m..
Pulaski Fine Arts Association presents “T’was The Night Before Christmas” at Theater On The Square in Waynesville, MO. When: Parade steps off at 11:00 a.m..
What: Lighted Christmas Parade & Christmas festivities in the park. When: Parade steps off at 6:00 p.m.. 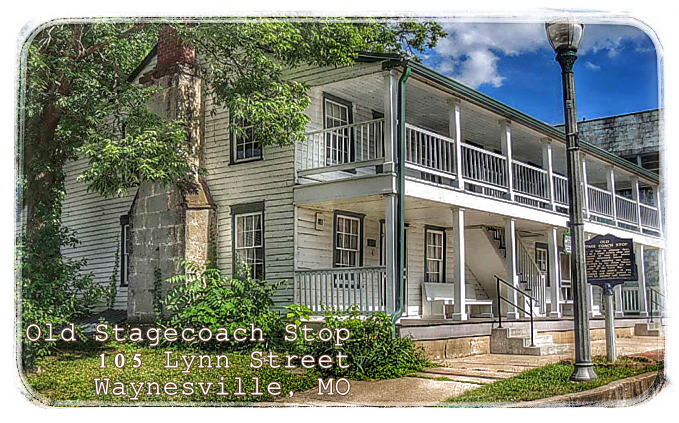 The Old Stagecoach Stop, built in the 1850’s, is a 10-room museum. Each room is restored to a different usage or era in the building’s history. 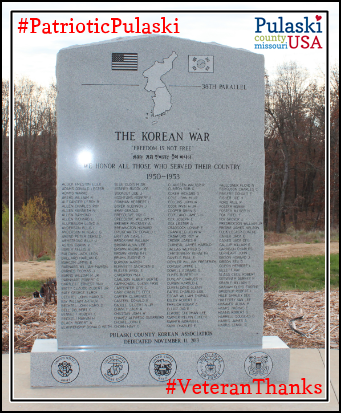 The facility has been a stage stop and tavern on the Wire Road between St. Louis and Springfield; a hospital during the Civil War; a hotel; a dentist’s office; and a boarding house for workers building Fort Leonard Wood in 1941. Tour guides reveal the history of the building, which tells much of the story of the growth and development of Pulaski County. Normally open only on Saturdays, the Old Stagecoach Stop throws open its doors to Welcome the National Speleological Society Convention in July. The Museum will be open Tuesday, July 14th and Thursday, July 16th from 5-8 pm. There is no admission fee, but donations are gladly accepted. The public is invited, and encouraged, to tour the Old Stagecoach Stop during this time. Don’t miss the 1903 Route 66 Courthouse Museum, trout fishing, and downtown shopping & dining while you are in Waynesville! 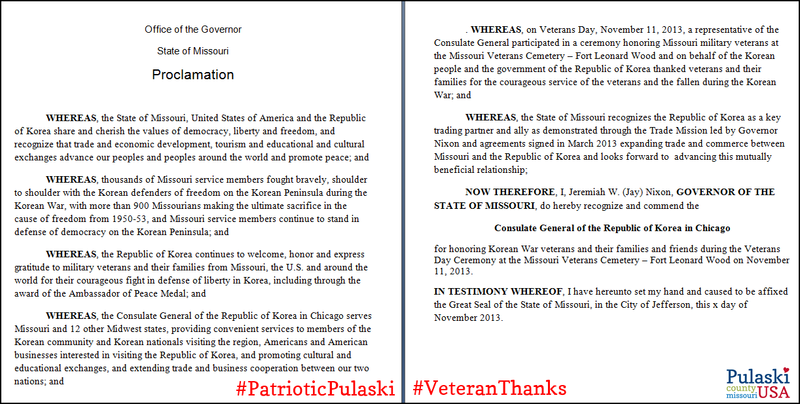 Pulaski County USA is the first Purple Heart county in Missouri. 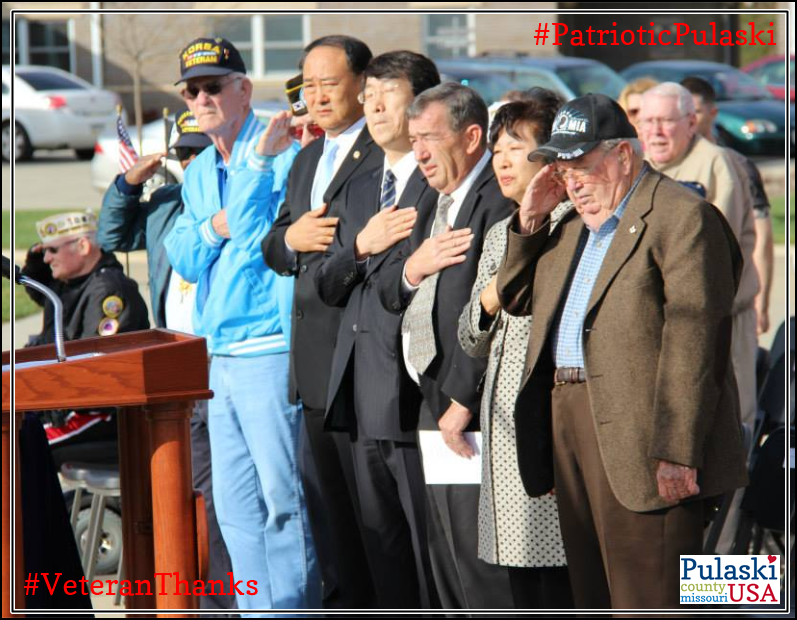 We are known for our patriotism. 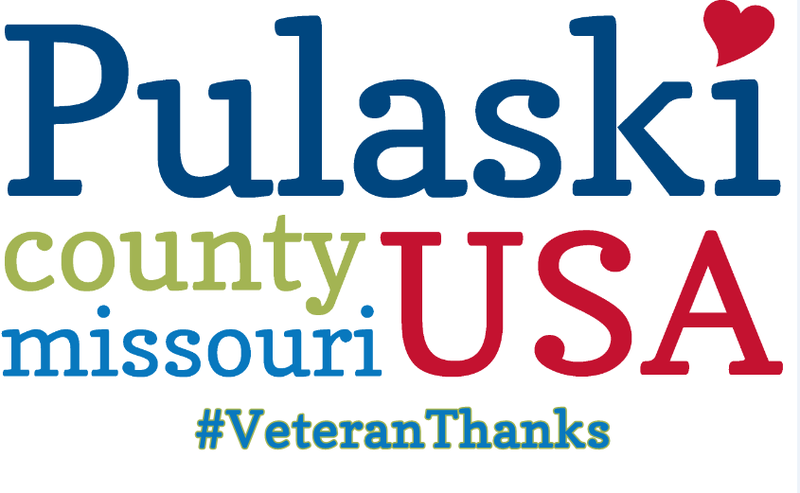 The Pulaski County Tourism Bureau is proud to announce the launch of a new project, #VeteranThanks, to respectfully honor our nation’s veterans. You may submit your photographs to us for inclusion in this campaign. 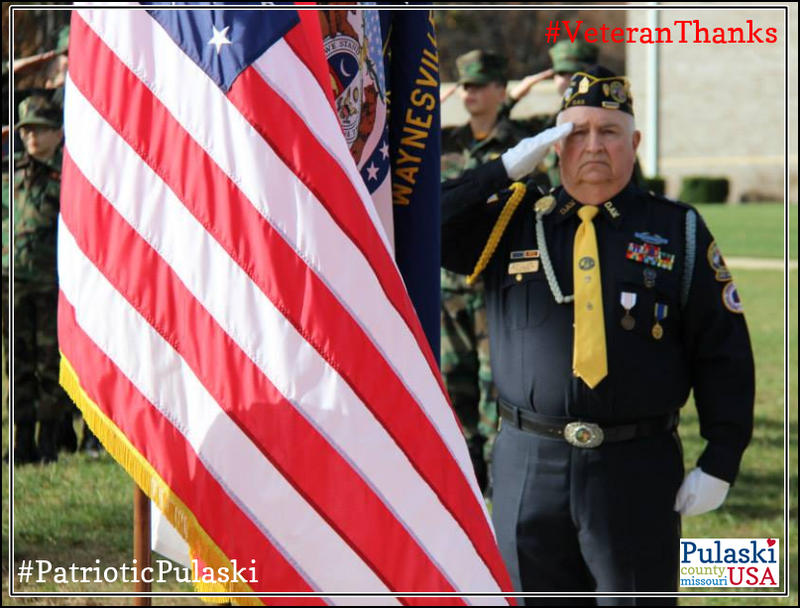 This is not a contest, simply an invitation to show your appreciation and share your photos with others through social media… including our newly created Facebook page that is just for honoring veterans and on our other social media accounts. 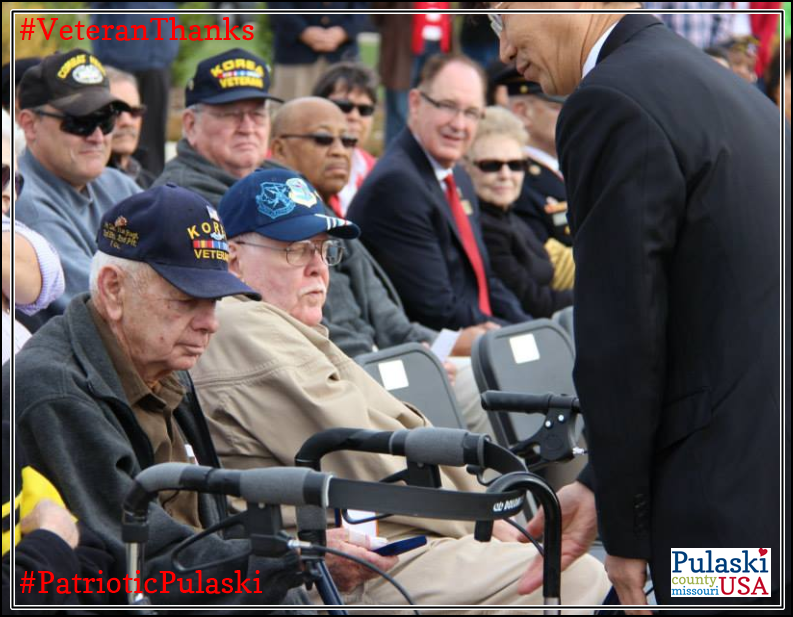 Each day, year round, we will be uploading photos of Veterans to our blog at http://www.veteranthanks.blogspot.com. 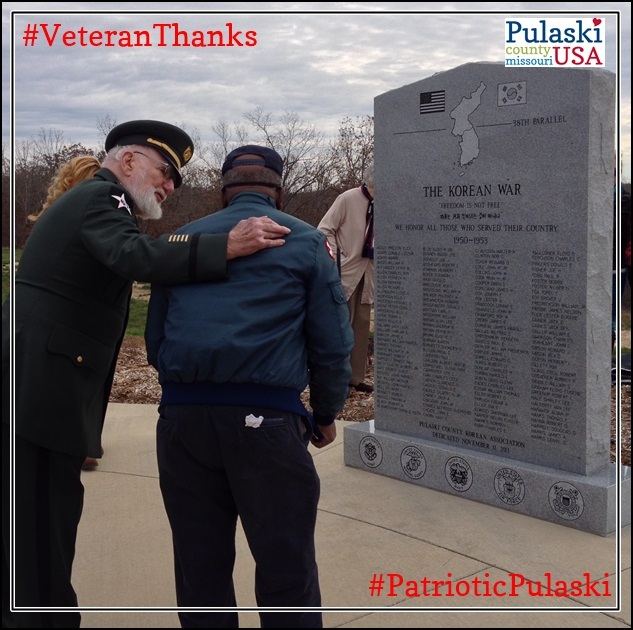 Submitted veterans photos will be searchable by last name or branch of service. We will be regularly adding your submitted photos. 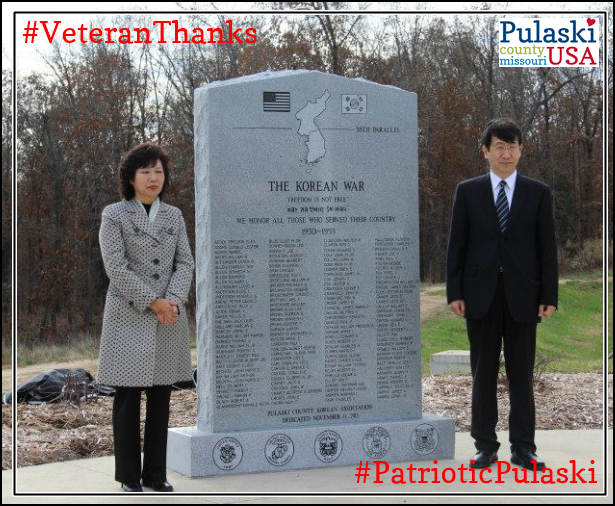 Let us thank your veteran! Start digging through those scrapbooks, as we will always be needing photos to add. Please give this new page, http://www.facebook.com/VeteranThanks a “like” by visiting and clicking the “thumbs up”. 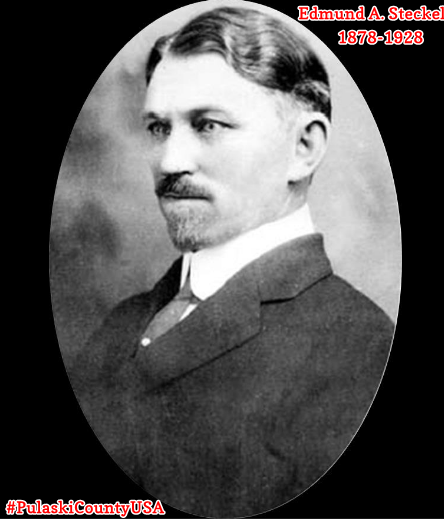 Edmund Albert Steckel, founder of Ozark Springs Resort at Turkey Ridge, Missouri. 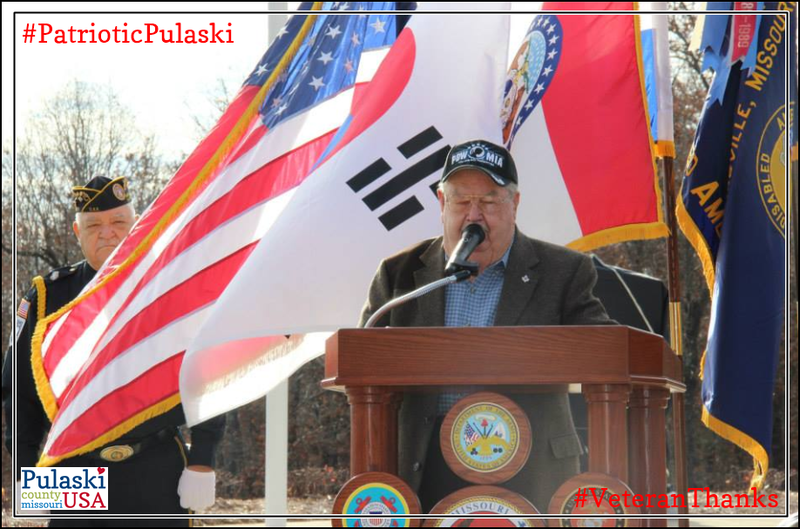 Today’s #ThrowbackThursday is a tribute to #PulaskiCountyUSA’s busiest man, Edmund Albert Steckel. During the years of his constant flurry of activity, 1909-1928, E.A. Steckel opened Ozark Springs Resort in 1922. The old resort property is still a destination today as visitors, tourists, and curiosity seekers travel to The Cave Restaurant & Resort to enjoy a meal in the restaurant that is located inside a pre-historic cave that overlooks the Gasconade River.